Two years later, on September 22, T.A. 3021, he met the Hobbits once again. He accompanied a riding of great Lords and Ladies, that planned to sail West on board the White Ship and probably he was among the Elves who sailed to the West. 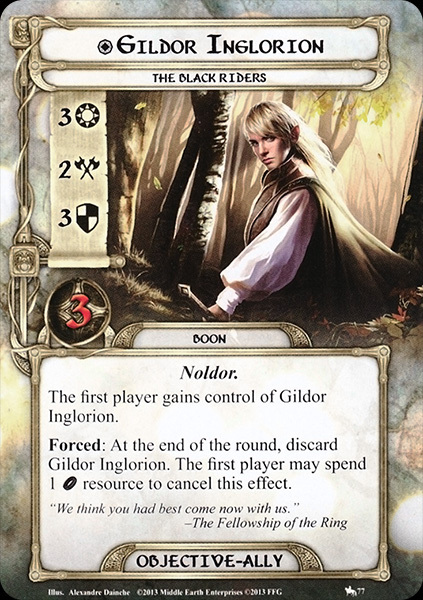 It should be noted that Tolkien initially used names from his (unpublished) The Silmarillion writings rather at random in The Hobbit and the first drafts of the sequel which would become The Lord of the Rings: other examples are the mention of Gondolin and the appearance of Elrond in The Hobbit, which were only later brought into alignment with The Lord of the Rings and the unpublished mythology by a third edition of the book. 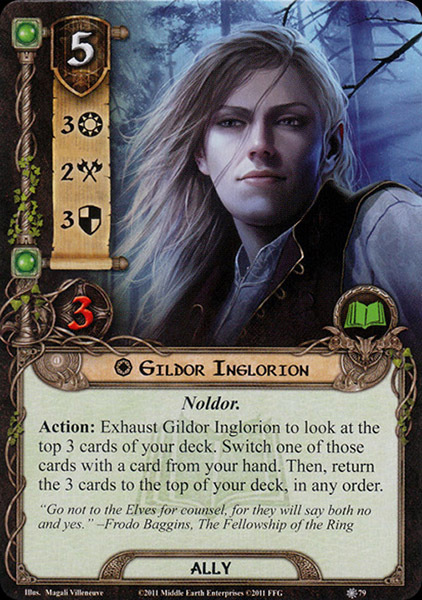 This therefore is the case of the reference to the name 'Finrod'. 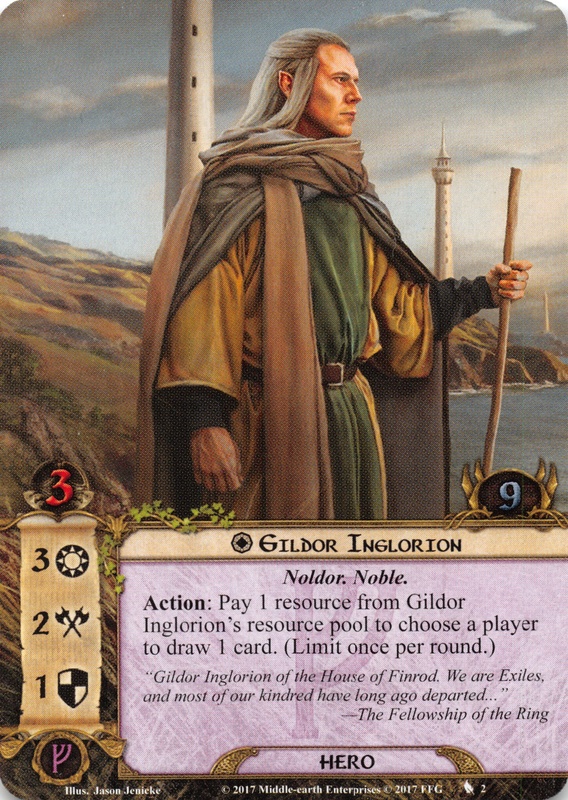 The name 'Gildor' first appeared in the outlines of The Lord of the Rings in February 1938, and in Tolkien's notes of that time, 'Finrod' still meant the character later known as Finarfin and his son had the older name 'Inglor'. 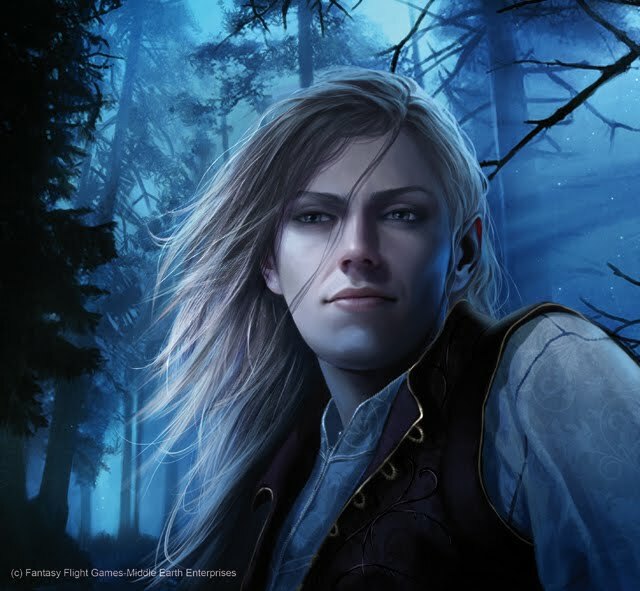 It is also possible that he was a son of a supposed 'Inglor' — a character unconnected to Finrod Felagund.